The entire month of April is dedicated to paying just that much more attention to our pet’s safety and well-being. 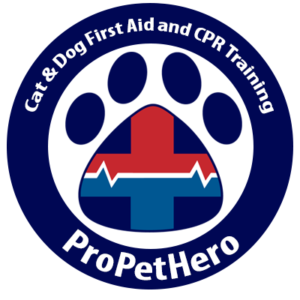 This is a great time for you to make certain your pet first aid kits are up to snuff, up to date and replenished from the last time you used the Neosporin to take care of scrape or wound that you found on Fido. With Easter kicking off this weekend, it also can kick up some trouble for the pets in and around your household. From the chocolate bunny and sugar-free candies to the beautiful lily Grandma sent you – these new additions to our home around spring and the Easter holiday can cause some serious issues. Firstly, anything new often needs to be explored by your pets. 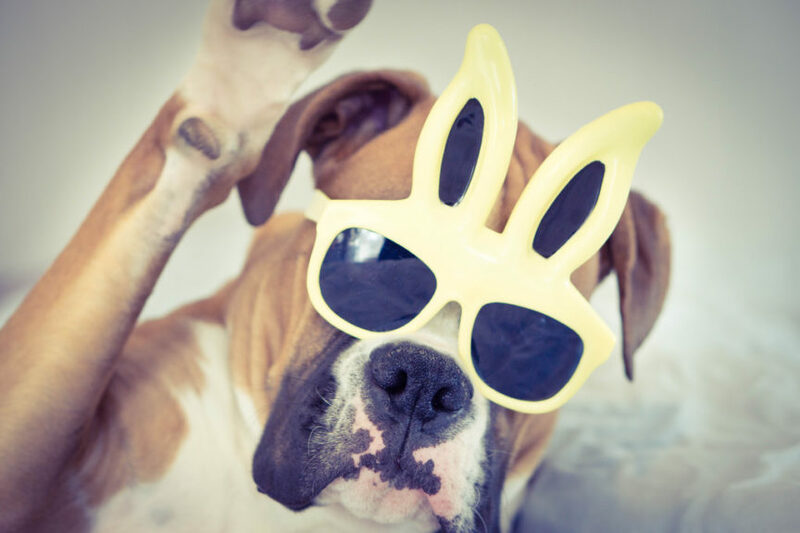 Dogs are 3-4 times more likely to get into trouble than your kitty companion but if you bring in some grass for the Easter basket – all bets are off! That synthetic grass is fun for cats and a nightmare waiting to happen. There are PLENTY of other hazards we do not even think about but when special occasions happen, our animals get especially interested. I literally just performed a kitty visit last evening and found a porcelain candy dish on the floor with Cadbury mini eggs strewn all over the place. Thankfully none of them looked bitten into and it appears the two tabby cats had a blast bobbing the wobbly eggs all over the wood floor in the living room. I already touched upon the synthetic grass that’s found in Easter baskets. It’s plastic, it’s fun to chew and worse, its fun for your cat or dog to swallow. Remember, if you see any sticking out of your pet’s mouth or bum, only try gently to see if it will come out without ANY tension. You get the slightest bit of tension – you’re off to the vet. Grass like this or stringy items can wrap themselves around your pet’s throat or intestines and if you pull you could cause cuts, tears or just a horrible mess inside their bodies so leave the extraction to your veterinarian. Chocolate – theobromine, the active ingredient gets your pet’s heart a-thumpin’. While chocolate excites us, it can throw our pets’ hearts into an arrhythmia and that is not something anyone wants their pet to go through. The darker the chocolate the higher the concentration of the heart pumping chemical and the smaller the animal – the bigger the problem. Candy but particularly sugar-free candy is a serious problem for our companions. There’s no sweat deal if any pet gets into these types of candies as many of them will contain a dangerous chemical called xylitol. Xylitol causes hypoglycemia, and if not treated immediately – organs will start to fail. I find it strange that the very substance used to mimic sugar causes such a steep and serious drop in blood sugar. Grandma always sends her yearly lily plant and you look forward to adding it to the garden in a few weeks. On a recent podcast I was on with Arden Moore of Pet First Aid 4 U, Arden discussed the dangers of lilies. Even just a nibble on the leaves or a lap up of some pollen and you’re looking at some kidneys shutting down for your cat. Dogs are less affected but will most commonly experience gastrointestinal upset. Leave the lilies outside or better yet, consider suggesting to Grandma a nice Rosemary, thyme or even basil plant. They’re aromatic and purrfectly safe for your pets. One last plant precaution – my mother always sends bulbs for my garden, these can be a serious no-no as well. It may look like a ball toy but that bulb is far more dangerous for your canine friend. Anything new brought into our home is bound to be inspected by the 4-legged family members. Always be cautious with any candy or plants. The Easter baskets look great in front of the fireplace but they’re also super easy for Stella to poke her nose into or Max to sneak out some fake grass to chomp on. Make sure you know what you have in your house or are bringing into it. Are you bringing Stella to your in-laws, do they have candy dishes or a chocolate bunny at nose or counter-surfing level? Know what’s normal for your pets so that if and when they start acting abnormal, you not only can recognize it as fast as they need you to – but you know exactly what to do because you know pet first aid. Use this month to make yourself aware so that you can spend the rest of their life ready to be their hero.